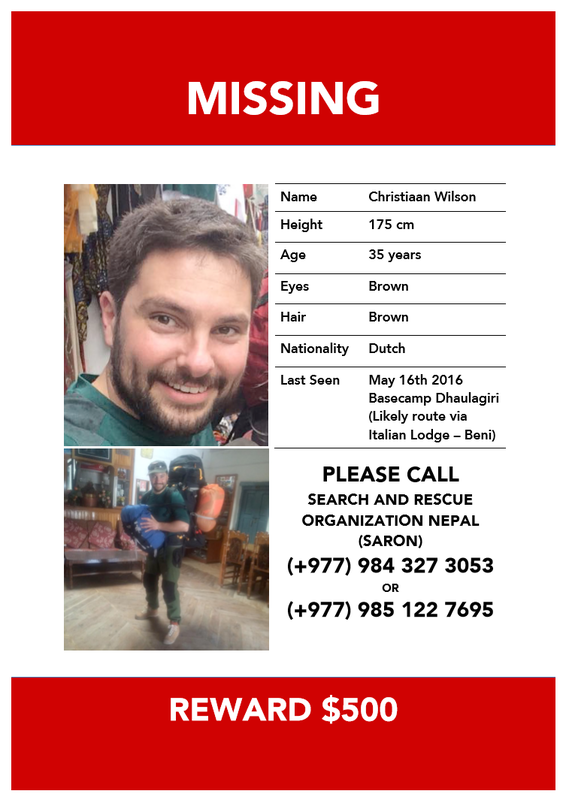 Christiaan left on April 17th 2016 for a 35 to 40 day trip to the summit Dhaulagiri (8,167m) in Nepal. He ascended together with an American, who descended on his own on May 4th. 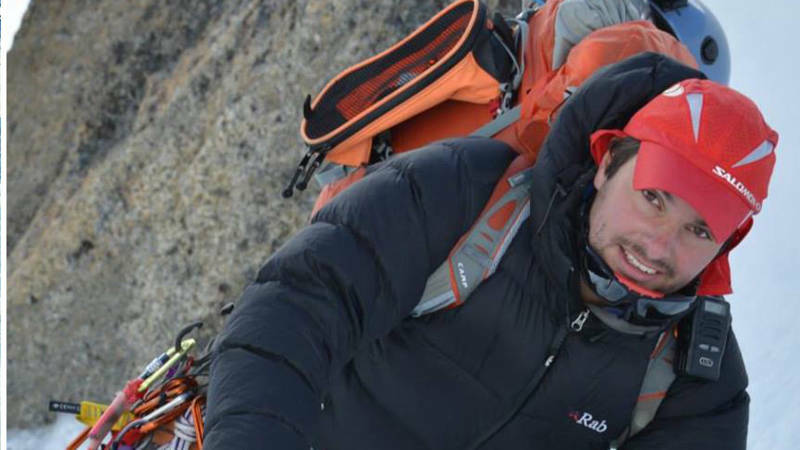 On Monday morning, May 16th, several people saw Christian depart from Dhaulagiri Base Camp, descending toward Italian Base Camp (about a 4 hour walk). 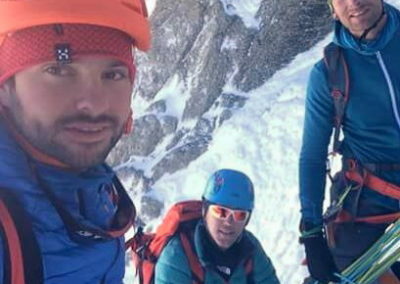 However, no one spotted Christian along the way, nor has he been reported seen in Italian Base Camp. Since then, there has been no trace of him. 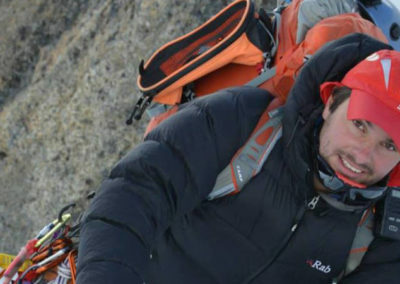 We therefore suspect that something went wrong between Dhaulagiri Base Camp (4,750 meters) and Italian Base Camp (3,700 meters). 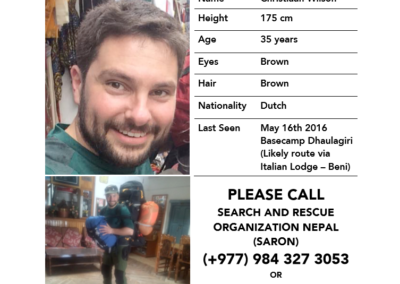 In May and June, we have carried out a search in cooperation with the NKBV (Dutch Climbing and Mountaineering Association) SARON (Search And Rescue Organization Nepal), and SARdogs Nepal, but unfortunately we have not been able to find him yet. Here is the gear or equipment Christiaan would have had with him. 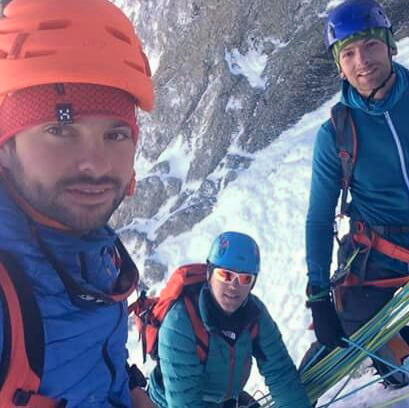 PDF of Christiaan’s equipment.